Join us for our December 2017 WATERtalk! Teresa Forcades is the author of Faith and Freedom, she is passionate about freedom and love, social justice, political engagement, public health, feminism, faith, and forgiveness. 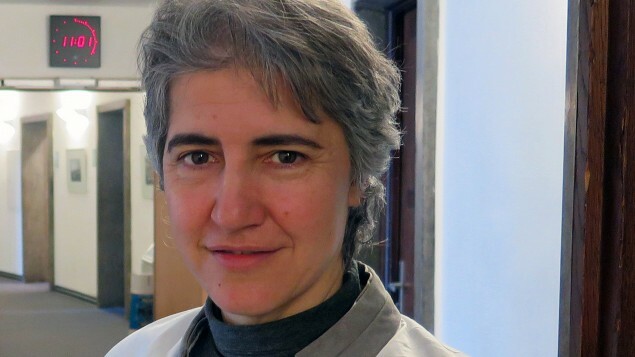 Teresa Forcades i Vila is a physician, theologian and Benedictine nun in the mountain monastery of Sant Benet de Montserrat in Catalonien, Spain. She has published ‘Crimes and Abuses of the Pharmaceutical Companies’ (Cristianisme i Justícia, Booklet 124, 2006) and ‘Faith and Freedom’ (Polity Press, 2016) in English alongside nine other works. These include ‘La teologia feminista en la història’ (Feminist theology in history, 2007), ‘Ser persona, avui’ (To be a person today, 2011) and ‘Per amor a la justícia: Dorothy Day i Simone Weil (For the love of justice: Dorothy Day and Simone Weil, 2015) and ‘Els reptes del Papa Francesc’ (The challenges of Pope Francis, 2017). She is director of the journal of Christian critical thought Iglesia Viva (iviva.org) and online professor at the PhD program of Critical Gender Studies scheduled to start next August at the Universidad Íberoamericana de Ciudad de México. She is politically active with the independence and anticapitalist movements in Catalonia and currently works on a book on burning issues in bioethics.